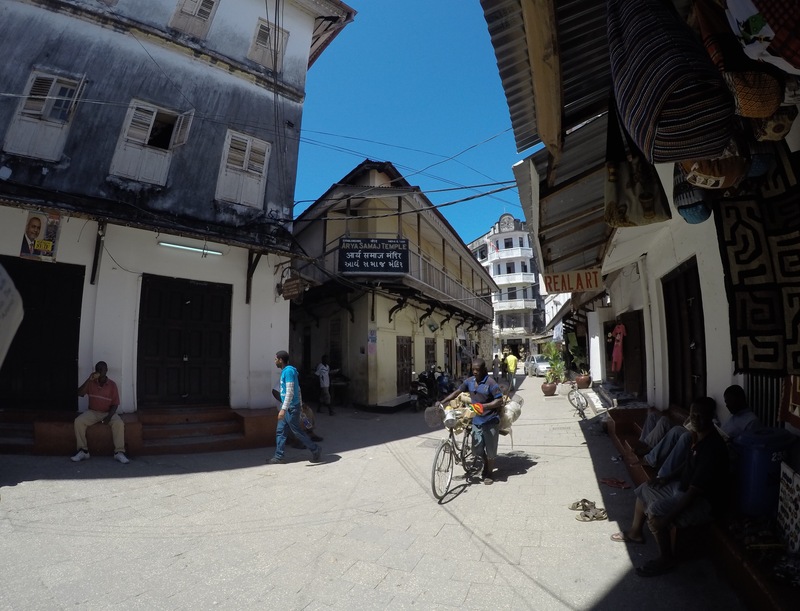 Zanzibar is a semi-autonomous state within the Republic of Tanzania, not an independent sovereign state. The islands have been in contact with Persia, Arabia and India along with the coast of East Africa for over two thousand years, while the rest of the African interior remained relatively unexplored. Serving as a major trading route to much of the East, it is seeped with deep and rich history. Arab traders originally named the East African coast ‘Zinj El Barr’ meaning ‘land of the black people’ for obvious reasons. 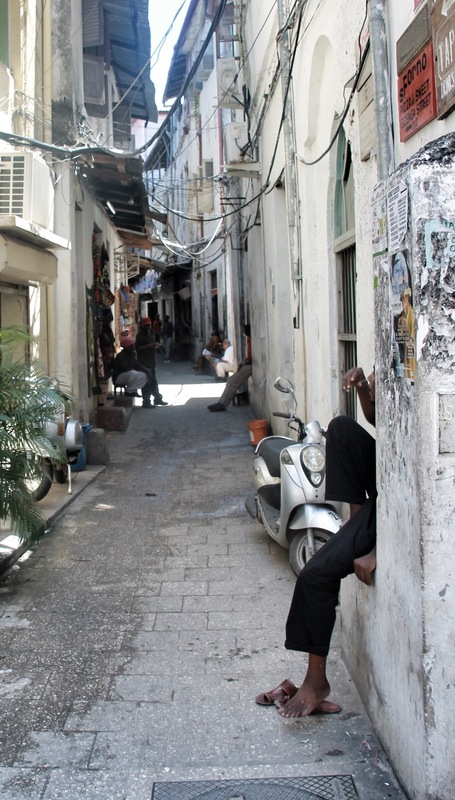 Stonetown, the capital and largest settlement, situated on the East coast of Unguja island, was once the largest town in the whole of East Africa during the colonial period. There are many interesting colonial buildings in the town from the Omani, Portuguese and British occupation which are best seen on a guided tour. I prefer just taking in the town’s character and getting lost in its many winding alleyways. This is perfectly doable on your own if your’re prepared to deal with Stonetown’s many ‘Papaasi’ – bloodsucking pests. 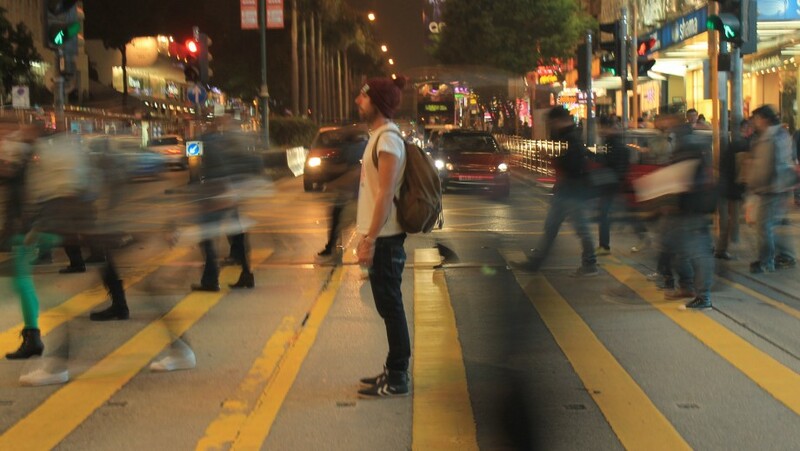 These hustlers will follow you around and will do anything to make a quick dollar or two from a tourist. 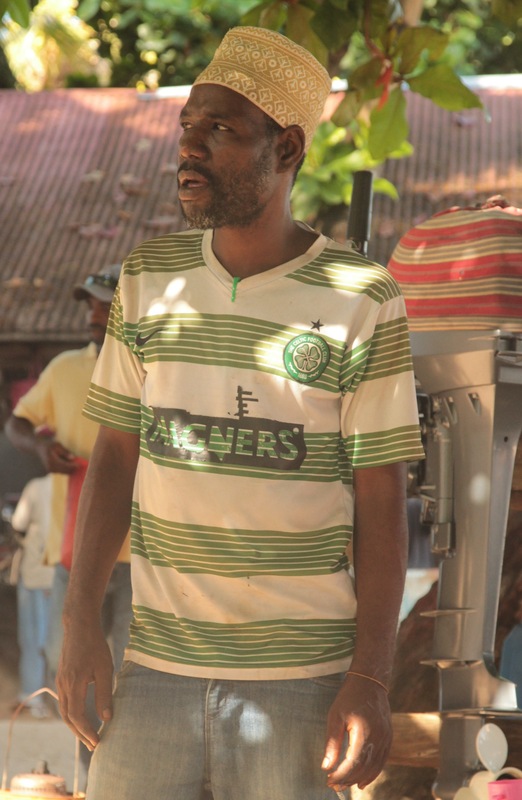 I was pestered for a while by a papassi wearing a Celtic top, which was not the first time I’ve seen a Glaswegian stumbling around struggling to speak a word of English. 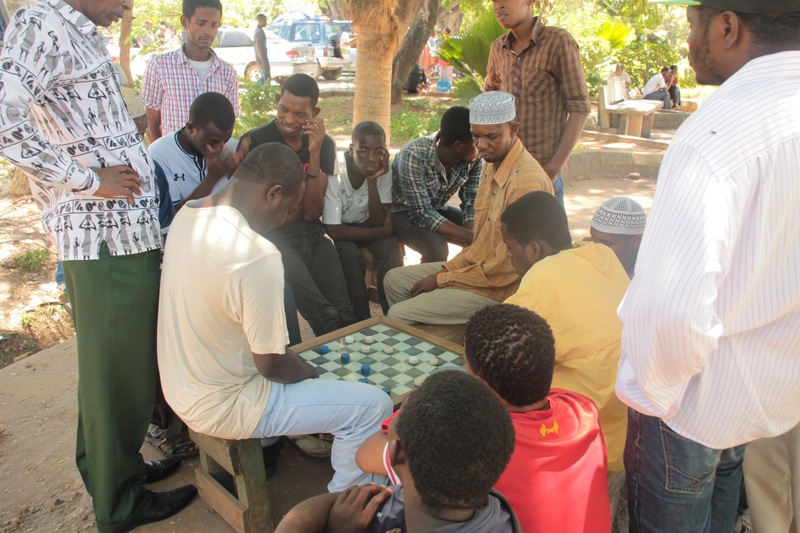 Through the day when the men of Stonetown aren’t out fishing or hassling mzungu, you will find them sitting around doing nothing or playing board games on the street. 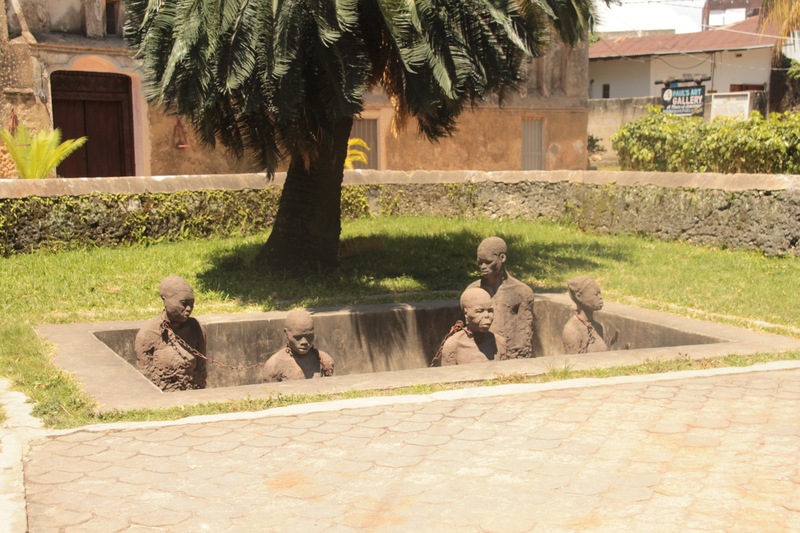 Thousand of slaves were brought to Zanzibar to be sold and then sent to work on the clove plantations or shipped further afield to Arabia or India. 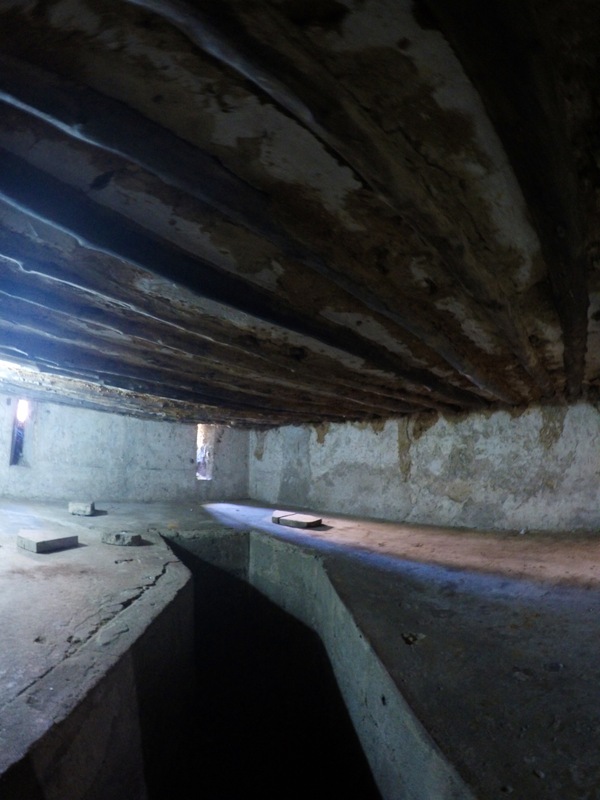 In the former slave market you can see the pits where the slaves were put on display and the dungeon where they were chained together and stacked up like packs of flour in Aldi. To get an idea of what it would be like being trapped in a horrible, depressing place in the height of the Zanzibari summer, I just had to go back to my hotel room. When the slave trade was abolished in 1873 an Anglican cathedral was erected. It’s said that the cathedral’s alter was once the spot of the slave markets whipping block, parts of the crucifix at the top of the spire are carved from the tree where David Livingstone’s heart was buried in Zambia. Tippu Tip was an Arab Slave trader who allegedly got his name from his blinking eyes that resembled a local bird by the same name. He personally owned more than 10,000 slaves on his plantations but incredibly justified his actions by claiming that Abraham and Jacob who appear in the Koran and the Bible respectively were slave owners themselves, I suppose he keeps telling himself that Joseph was really a wife beater too. 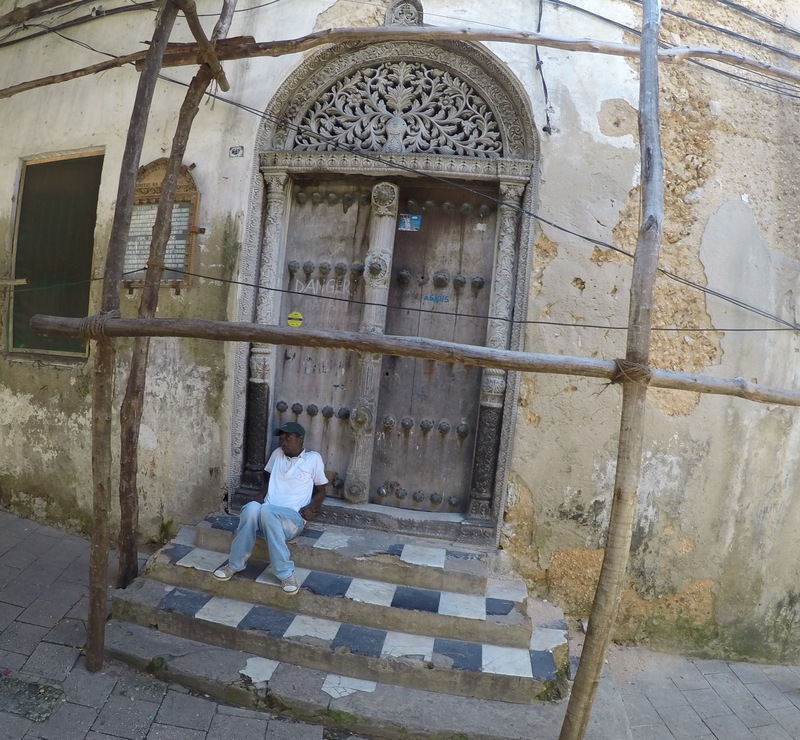 You can view his house from the outside with its grant Zanzibari door, signifying his wealth. Prison island 6km away from Stonetown, was originally owned by a wealthy Arab trader as a detention centre for disobedient slaves but then was sold when Livingstone helped slavery become a thing of the past. A prison was built here but instead it was used as a quarantine island for all passengers arriving from India in the 1920’s. 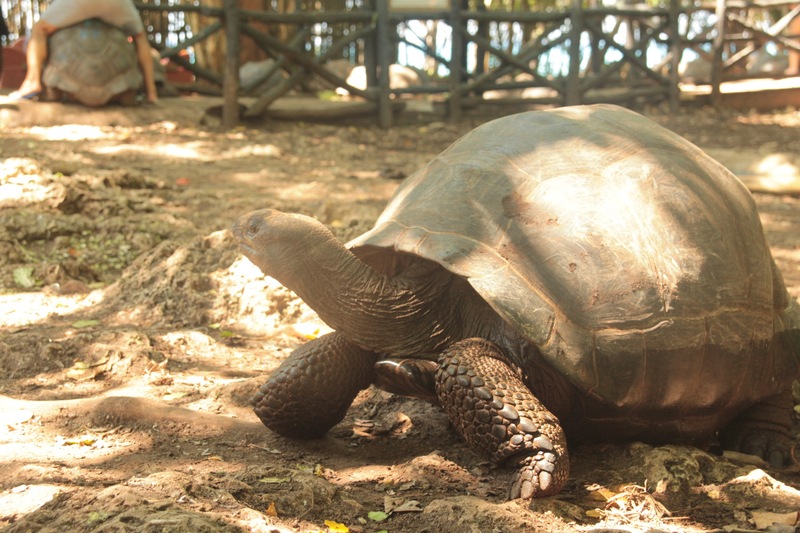 Today the island is home to a large creep of giant tortoises. 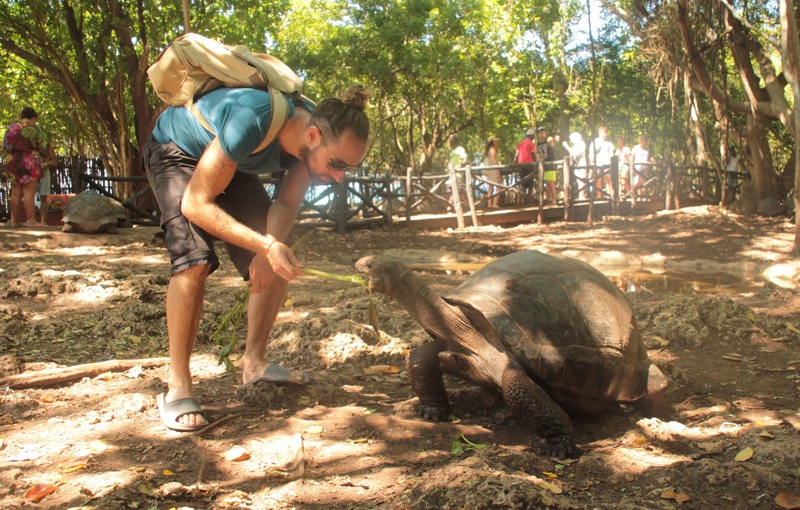 You’re able to feed the tortoises and get close enough to hear the beasts grunting and farting. 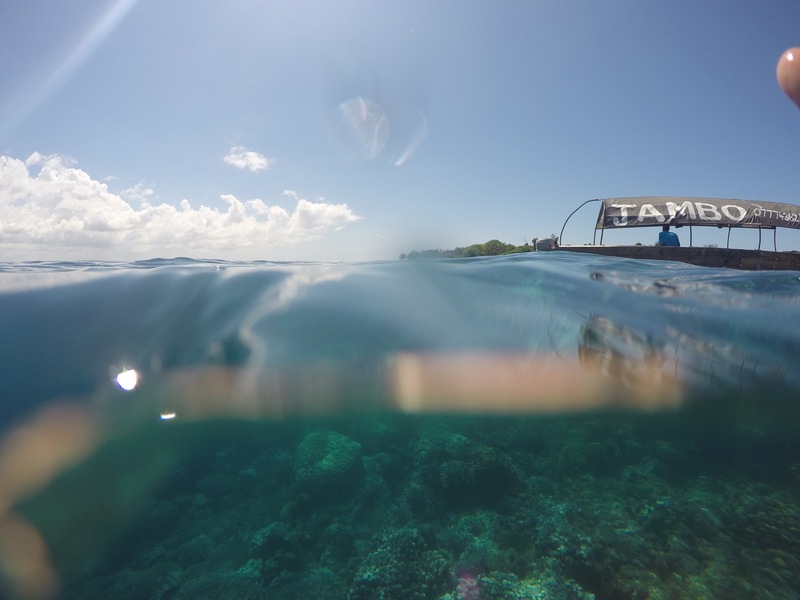 There’s an ok snorkelling spot on the way back to Stonetown, which sadly had to be cut short. Yesterday’s chicken arms didn’t agree with me and I’ve my own tortoises head popping out!